I was up at 5:30 yesterday, had my quiet time, fixed breakfast for the little lady, ate a light breakfast, and then walked 4 miles. I was asked to give the charge as founder of TEXAS BAPTIST COLLEGE so I worked on a poem for the class of 2010. I then worked on my new book on HEAVEN. Hopefully I should be finished with it in a few weeks and then starts the proofing process. I was given 3 hard copies of recently finished books that should go to press soon. The books are SUFFERING?, SUFFERING FRUITFULLY, and THE DOCTRINES OF SALVATION. There is going to be a work book with THE DOCTRINES OF SALVATION. This particular book will be an excellent book for a Bible College and for a New Converts Class in a local church. If you want to order any books go to www.solvechurchproblems.com! Last night TEXAS BAPTIST COLLEGE held its’ 27th Commencement Exercise. There are well over 400 graduates serving around the world. 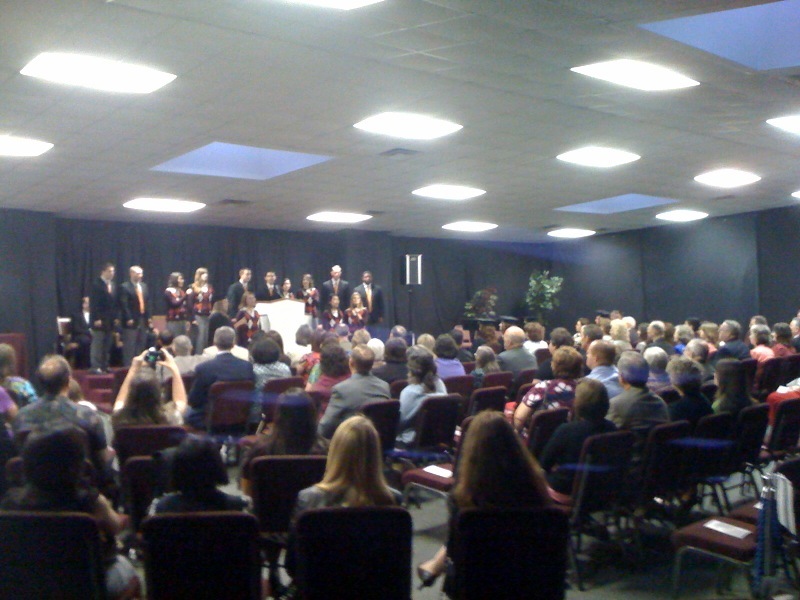 After the service there was a reception at the new TBC Administration building. It was a wonderful time of fellowship with former grads. My son Dr. Bob Gray II is the Chancellor and did an excellent job as the Commencement speaker. This is his first year as Chancellor and the college has made remarkable progress under his leadership. He was voted in as Pastor and Chancellor March 1, 2009. The physical as well as spiritual growth of the college is wonderful. I am very proud of him! (I have pictures of the grand kids too. Would you like to see them? Ha) Gotta love serving the Lord!